What is autism? With perhaps one in a hundred of our population now receiving a diagnosis of Autism, this is a question that more and more people are asking. 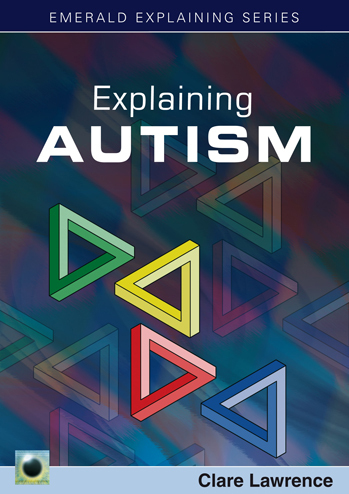 'Explaining Autism is the Second Edition of this highly successful book in the ‘Explaining’ series and provides a clear and concise introduction to this perplexing subject. The book includes comprehensive advice on managing autism and school, and gives pointers for parents and carers, and for adults with autism themselves, on pathways to help and support. Diabetes, particularly Type 2 Diabetes, is perhaps one of the biggest health threats we face today. There are a number of factors, creating a 'perfect storm' which come together to create diabetes, not least the diet we eat and the lifestyles adopted generally in the 21st century. 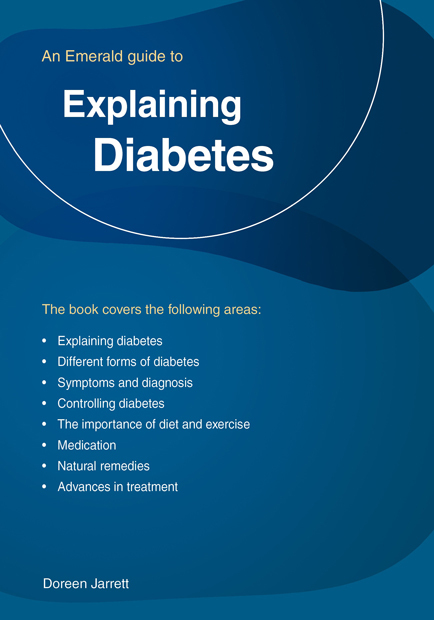 Explaining Diabetes is a comprehensive guide to diabetes, whether type 1 or type 2, and offers the reader guidelines which will help to either avoid the onset or, if already diagnosed, to manage the condition. The author: Doreen Jarrett is a researcher and journalist who has worked professionally with many people of all ages in the medical field. She has produced books on Parkinson's, Bi-Polar Disorder and the Rights of the Disabled. This book is intended to provide a comprehensive overview of the condition known as bipolar disorder. The book aims to be of use to those who have the condition and also family and friends who are affected by the condition. What is bipolar disorder? Bipolar disorder is the term used to describe what was once known as manic depression. Bipolar disorder causes serious shifts in mood, energy, thinking and behaviour. Essentially, if you have bipolar disorder you will experience extreme swings in mood-from periods of hyperactivity, known as 'mania' or 'manic episodes' to deep depression. Some people also see or hear things around them that others don't (known as visual or auditory hallucinations) or have uncommon, unshared beliefs (known as delusions). In periods of calm, usually through some form of medication, you will find yourself 'level' and behaving normally. 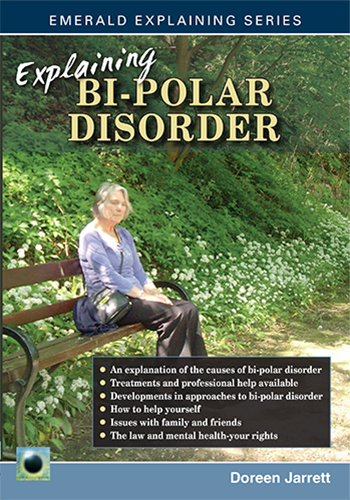 This book provides a comprehensive overview of all aspects of bi-polar and dealing with the condition. The Author: Doreen Jarrett is a researcher and journalist who has worked professionaly with many people of all ages who have been diagnosed with Bi-Polar Disorder. The mind is a powerful tool in holding the power to the way we think, feel and act. Therefore its only fair to say that good health stems from the mind and this is where all the changes have to begin. 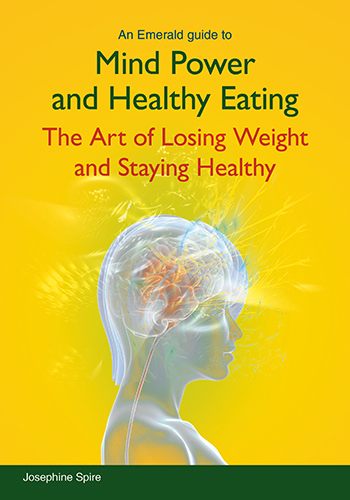 Mind power and Healthy Eating is a book about simple yet very powerful mind power techniques that are focused on promoting overall health whilst helping you to eat healthy, lose weight, maintain it as well as keeping active. More and more people are giving up on diets than ever before because they have come to a conscious conclusion that diets don't work. In this book you will learn that when you access the power of the mind, you access well-being. About the author: Josephine Spire is a qualified Hypnotherapist with a degree in Health Studies and a Diploma in Hypnotherapy and Counseling plus a Higher Certificate in Nursing. This book is based on her considerable experience with clients that she has treated over the years, combined with knowledge in the health field as well as extensive research experience. 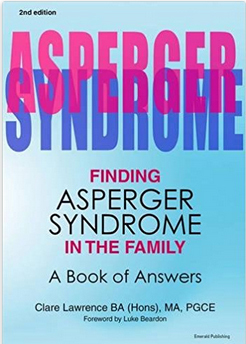 This latest book in the Emerald Series, Finding Asperger Syndrome in the family-A Book of Answers, by Clare Lawrence, is a very comprehensive and clear guide to Aspergers Syndrome and the effects on children and family. Not everyone facing this issue for the first time is ready for complicated hard to digest material. This book is invaluable in that it takes the form of providing key answers to questions which are most often raised and is aimed at the absolute beginner in this field. It will prove invaluable to all those who wish to understand more about this complex area, whether parent or professional. The author: Dr Clare Lawrence is Senior Lecturer in Teacher Development at Bishop Grosseteste University in Lincoln, where she is the English Secondary lead with a special interest in autism education. She is a graduate of Oxford, York, Northumbria, Sheffield Hallam and Birmingham universities, has a University Certificate in Autism Spectrum Disorder, a Post Graduate Certificate in Asperger Syndrome and a PhD in autism and education. For the last 15 years, Dr Lawrence has been working with parents, schools, universities and autism experts to explore practical solutions on how to make school make more sense for children with autism and how to help promote understanding of what having this condition is like. She has written a number of books on ways to help, understand and appreciate people with conditions on the Autism Spectrum. She has two children. Her son has autism. The Complete Guide to Quitting a Deadly Habit! Studies show that few people understand the specific risks of tobacco use. Many smokers who are aware of the dangers of smoking want to quit the toxic habit but carry on anyway. The question is why do they carry on smoking? Is it because they are deeply addicted to the nicotine in the tobacco? Is the habit no longer controllable? Or is it the brainwashing that’s sabotaging their ability to stop smoking? The purpose of this book is to guide people to use the powers that they already possess to quit smoking and become non-smokers for good. The book is simple, short and to the point that the reader will find it easy to digest the information and use the diverse techniques to stop smoking. About the author: Josephine Spire a qualified Hypnotherapist with a degree in Health Studies and a Diploma in Hypnotherapy and Counselling plus a Higher Certificate in Nursing. This book is based on her considerable experience with clients that she has treated over the years, combined with knowledge in the health field as well as extensive research experience. Hypnosis is the gentle healer, no chemicals, no side effects and it puts the patient in a state that holds great potential for healing by giving the patient access to the subconscious mind. 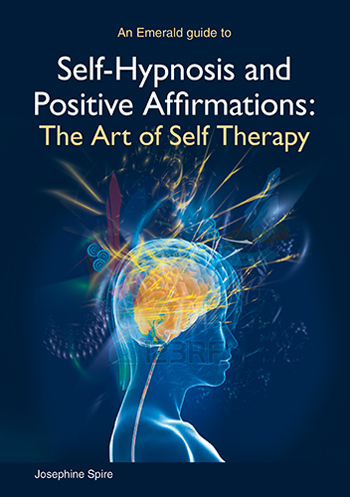 Self- Hypnosis and Positive Affirmations is a book about how hypnosis combined with positive affirmations can be powerful in treating a number of physical, psychological, stress related disorders, phobias and promoting sporting performance among others. About the author: Josephine Spire a qualified Hypnotherapist with a degree in Health Studies and higher certificate in nursing. This book is based on her considerable experience with clients that she has treated over the years, combined with knowledge in the health field as well as extensive research experience. 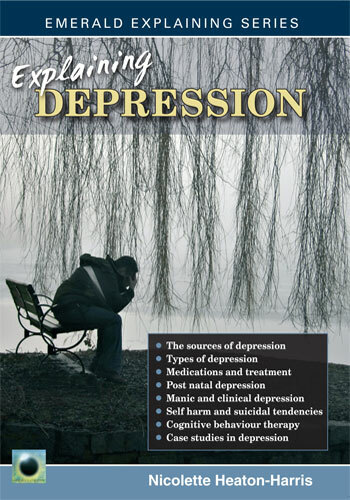 Depression is a traumatic and cruel illness which affects over 150 million people worldwide. It can affect anyone regardless of their age, gender, race or status. However, depression is like any other illness, it has to be dealt with and not ignored. In addition, stress affects our minds, bodies and relationships and most of us encounter stressful experiences in our lives but the difference is that we all cope differently. Some people are better at dealing with their stress whereas other people find it a struggle to navigate through it. 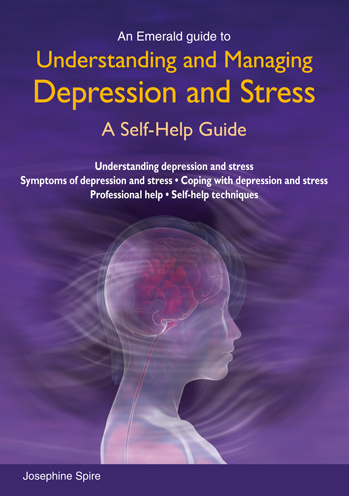 Throughout this book the reader will learn various mind-techniques and coping skills that can be practiced as part of a self-help strategy to overcome depression and stress. 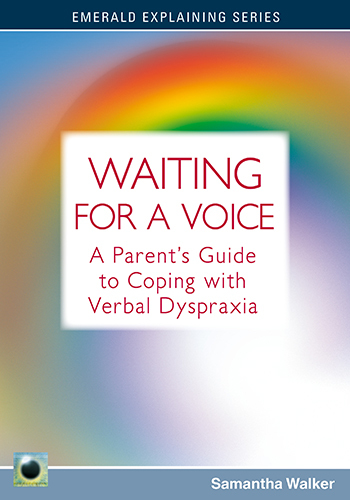 This fourth book in the Emerald Explaining Series,Waiting for a Voice - A Parent’s Guide to Coping with Verbal Dyspraxia deals with a condition which is recognized as being quite widespread. Verbal Dyspraxia is a specific, severe speech disorder found in children which prevents the brain from getting the correct messages to the muscles in and around the mouth, which in turn affects the ability to make intelligible speech. What is verbal dyspraxia? * From diagnosis to action - research and treatment * Alternative non-verbal communication methods * Getting the right help in the education system * Tips on things to do at home to improve communication and confidence * What you need from your speech and language therapist * Differences in approach between the UK and USA * How diet and nutrition could potentially help * Coping mechanisms as a family * Dealing with other people’s prejudices. The author: Samantha Walker has a four year old son with severe verbal dyspraxia. Since her son was diagnosed with the condition, she has worked tirelessly to get the best treatment and support for her son, researching the condition and testing alternative approaches to therapy. She is the author of the blog,waiting-for-a-voice.com, which was set up as an information site for other parents in the same situation. 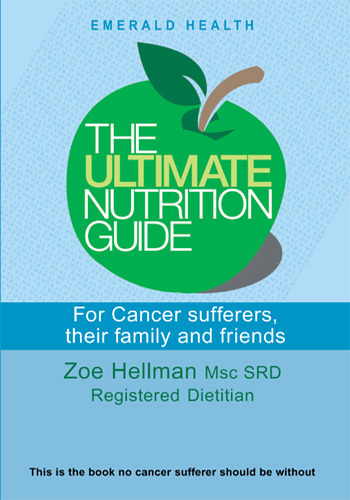 The Ultimate Nutrition Guide is a comprehensive practical guide to equip cancer sufferers, their family and friends with a solid and sound foundation of nutritional advice and support, addressing aspects both at home and in hospital. The book empowers readers with the understanding and practical knowledge to optimize their health and well being through nutritional therapy. Based on the latest research and practice, the book shows readers the importance of nutrition and how to apply important principles to their diet. The Emerald series; The Ultimate Nutrition Guides aim to provide readers with books that are based on the latest evidence and are a source of information that can be trusted. The author aims to provide us with practical advice on the benefits of her experience both within the NHS and private practice. She has just finished her second book (see below) and aims to cover the major range of illnesses affecting us all - helping us to decide what and what not to eat depending on our particular problems. The Author: Zoe Hellman is a State Registered Dietitian and has worked in both the public and private sector. She has seen first-hand the importance of nutrition and the impact it can have on well-being and health. 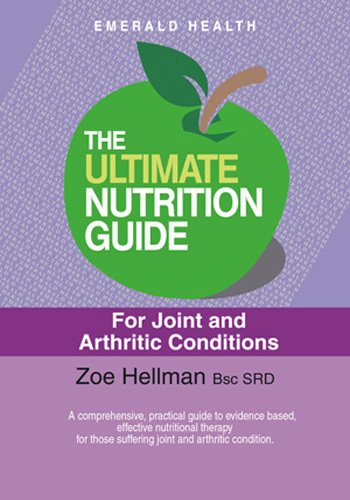 This second book in the Emerald Series, The Ultimate Nutrition Guide, is a comprehensive guide to equip those affected by joint and arthritic conditions with a sound and practical foundation of nutritional advice and support. Based on the latest research and practice, the book shows readers the importance of nutrition and how to apply important principles to their diet. This book is written for those suffering from; joint pain, osteoarthritis and rheumatoid arthritis, offering targeted advice to each. The Emerald series; The Ultimate Nutrition Guides aim to provide readers with books that are based on the latest evidence and are a source of information that can be trusted. The author aims to provide us with practical advice on the benefits of her experience both within the NHS and private practice. She has just finished this, her second book (see above for cancer nutrition), and aims to cover the major range of illnesses affecting us all - helping us to decide what and what not to eat depending on our particular problems. Without doubt, the rising incidence of depression in society, the source of which is manifold and complex, is of growing concern to many people, whether layperson or professional. Understanding Depression by Nicolette Heaton-Harris is a wide-ranging introduction to the nature and origins of depression and also the existing support framework. The Author: Nicolette Heaton-Harris is an author in the area of child psychology and health and also in the field of mental health. She has published several books on the subject of teenage pregnancy and mental health. 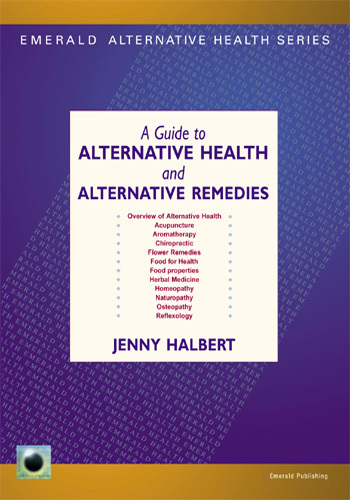 A Guide to Alternative Health and Alternative Remedies is a comprehensive, clear guide to the whole area of alternative medicines covering the field of alternative health and also the many alternative remedies on offer. The author: Jenny Halbert is a qualified homoeopathist with her own practice in Glasgow. She also writes extensively for the trade press and brings her experience to bear in this comprehensive book. 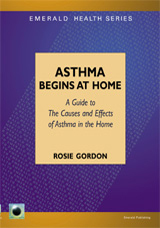 Asthma Begins at Home is an approachable guide for asthmatics and their families. It is a positive first step towards understanding and taking control of allergic disease. We are hearing more and more about the increases in asthma, with questions about asthma littering the daily press. In the UK alone, over 5 million people are living and dying with this debilitating disease today. In the UK, serious or life threatening asthma results in 74,000 emergency hospital admissions each year. Currently, 1,500 people die from asthma each year, over a third of which are people over the age of 65. Asthma attacks now cost the UK an estimated �1.2 billion in lost productivity, �850 in NHS treatment and a further �1.6 million on social security costs. (2001 Asthma Audit by the National Asthma Campaign). Nell Nockles was very nearly another victim of asthma, until she discovered the effects of removing allergens from her environment. She has since devoted her life to research and campaigning for the public to share this vital information. 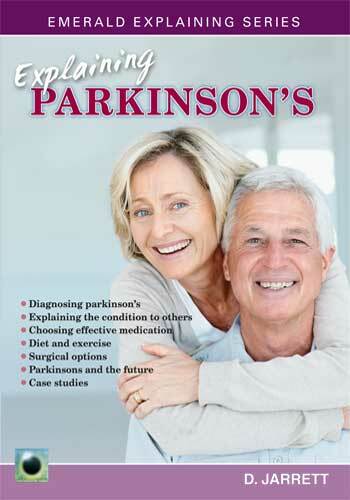 Parkinson's, or the onset of Parkinson's, is a very stressful time for those unfortunate to suffer it. Quite often guidance on the subject is conflicting and unclear. This third book in the Emerald Explaining Series Explaining Parkinson's deals with Parkinson's in a very sensitive and clear way and will be of great assistance and comfort to those who read it. The book gives advice on techniques for coping with the diagnosis, finding the right doctors, diets and, overall, dealing with the condition and the attendant stress. A Comprehensive Guide to Children's Health and Fitness Children's Health-Combating Obesity, is an extremely comprehensive guide to the problems affecting children and their health from the early years through to the teens. 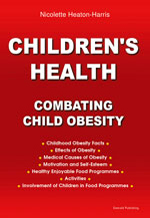 The book specifically approaches the problems of obesity, dealing with causes and effects of obesity, both medical and psychological, and providing a series of healthy diets and activities which will ensure that a child grows up healthy and fit and avoids the dangers inherent in the early years. The Author: Nicolette Heaton Harris is an author and expert in the areas of child health and child psychology. She has published three books in this area, on teenage pregnancy and mental health. This book follows two years of research into child health and the causes of obesity.